The A5 size clipboard is part of our range of strong, hardboard clipboards. 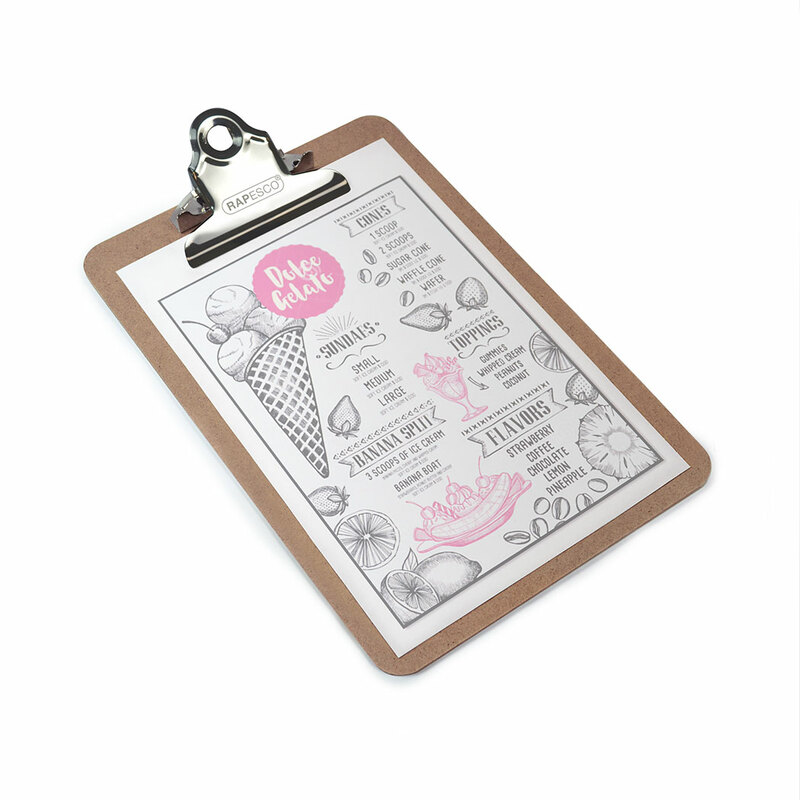 Ideal in size as a menu holder for bars, coffee shops and restaurants – this A5 clipboard is also perfect for use in the workplace, schools or at home. 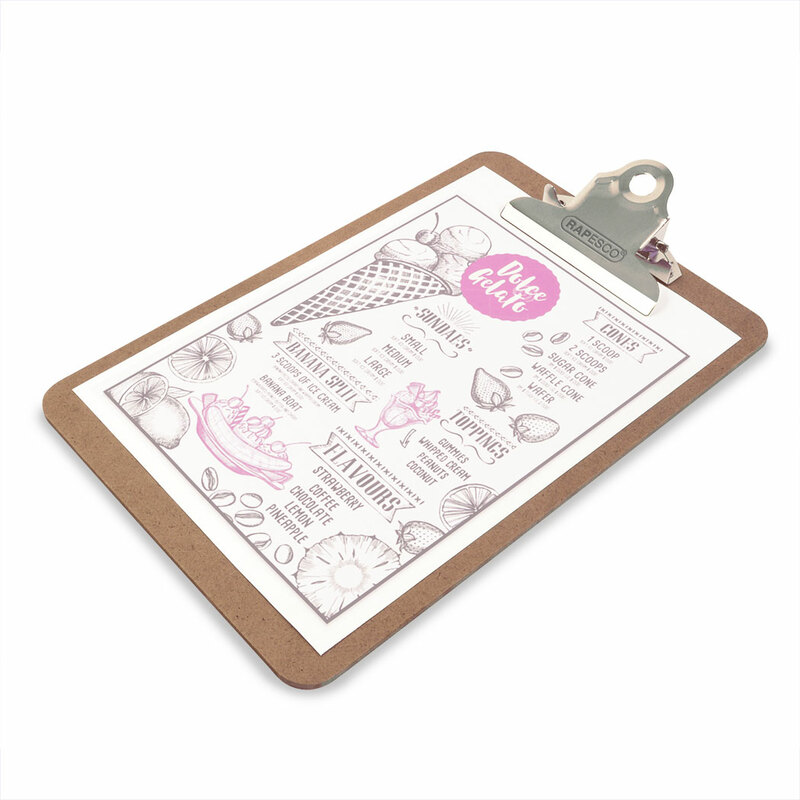 Its glazed front provides a smooth writing surface as well as protecting the board from light rain. The strong clip also features a hanging hole at the rear. 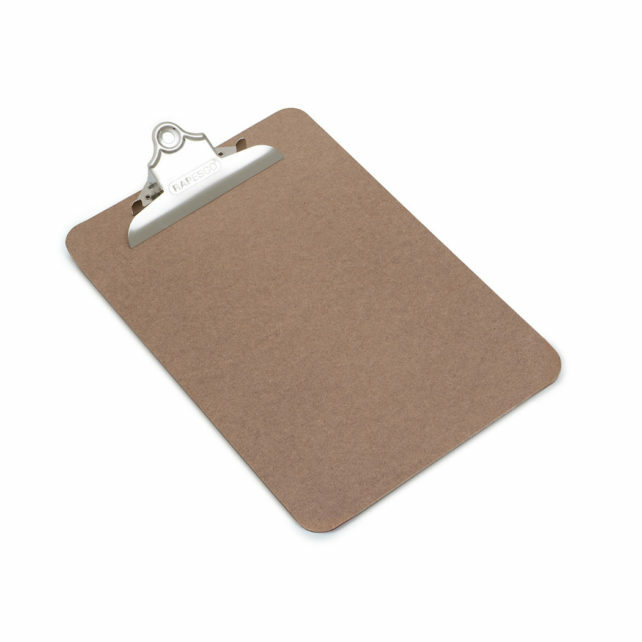 Pack of 12 clipboards.